Preventive dentistry is designed to help you maintain healthy teeth and gums. Our Grandville dentists are able to offer you a range of preventive dental services so you can keep your teeth in good condition. Below, we go into more detail about the dental treatments we offer. We recommend you schedule a dentist appointment for a professional teeth cleaning every six months. It is much easier to save teeth (and more affordable) when we are able to catch decay or tooth damage in its early stages. While brushing and flossing your teeth helps keep down dental plaque, a dental hygienist is able to remove plaque hiding beneath the gum line or in between teeth. Click here to learn more about our teeth cleaning services. A dental examination will reveal whether you have tooth decay, gum disease, or other oral health issues that need to be resolved. First, our dentists check for obvious signs of damage to the teeth and gums. We also take digital x-rays to check for cavities that aren’t visible with the human eye alone. Click here to learn more about our oral exam services. While periodontitis (advanced gum disease) is irreversible, we are able to minimize the damaging effects to your smile through a deep-cleaning procedure called scaling and root planing. 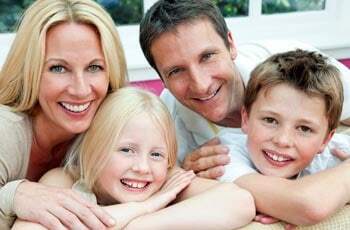 Our Grandville family dentists also make every effort to reverse gum disease in its beginning stages. Click here to learn more about our periodontal disease treatments. Fillings are used to restore teeth after tooth decay has been removed. While tooth fillings used to only come in silver or other materials, more and more patients are asking about composite resin fillings. Composite fillings are typically made out of porcelain or ceramic and match the color of your teeth. Click here to learn more about our tooth filling services. Laser cavity detectors are able to detect hidden cavities that form beneath tooth enamel. The earlier we are able to detect cavities, the sooner we’ll be able to start treatment to prevent further tooth decay. Our dentists are always looking for the latest dental technologies to help patients maintain good oral health. Click here to learn more about our laser cavity detector services. Oral cancer screenings save lives by catching mouth cancer in its early stages before it spreads. If you are at increased risk for oral cancer due to smoking or a family history of cancer, be sure to ask one of our dentists about mouth cancer screenings during your next appointment. Click here to learn more about our oral cancer screens. Back teeth (molars) that have deep pits and grooves can easily collect dental plaque over time and cause cavities. Tooth sealants work by filling in these pits and grooves so plaque has fewer places to hide in your child’s mouth. Click here to learn more about our dental sealant treatments. Sarah Palmer DDS and Amy Harmon DDS are dedicated to helping patients feel confident with their smiles through quality preventive dental services. If you are interested in learning more about any of our dental treatments, call our dentists in Grandville at (616) 534-0080.